1, It is details screen. When you know what you want then decide how many cartons you want. 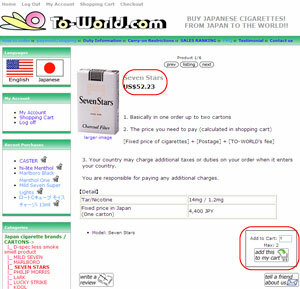 ※This is parsonal import products so you can only order up to 2 cartons each time you purchase. How many quantity do you want? 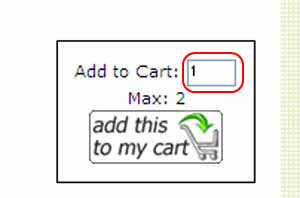 Then click "add this to my cart"
Display the inside of the cart. 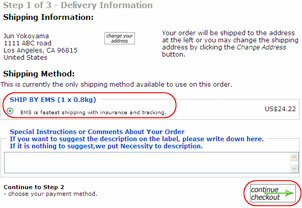 Check the total price of your order. (This is only price of the products. Click "go to checkout" right below. First time user need to create an account with us. *If your country does not have state/providence,you can put " N/A " to the state. 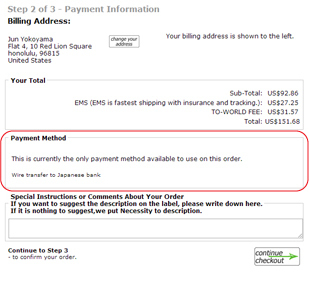 When you log in, you can see the shipping methods on the screen. 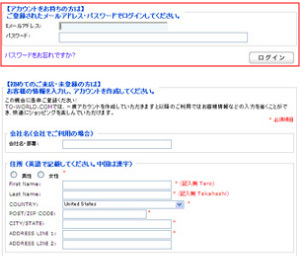 Decide and then go "payment information"
※You need to understand that all fee for wire transfer is all your cost. We will not pay for any fee to withdraw savings from an account. Please ask at the bank you use.